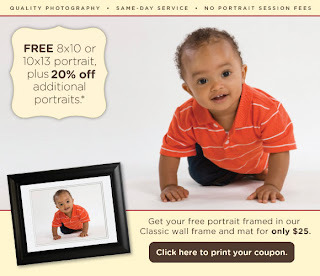 Go here to print a coupon for a FREE 10x13 or 8x10 picture from Picture People. You can also get 15 or 20% off additional picture packages. Coupon good till 11/23/09.